1. What is TrackCC - and what functions does it provide? 2. 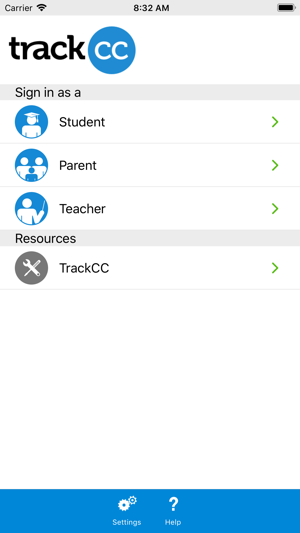 What attendance functions does TrackCC provide? - Record daily attendance by student, e.g. 3. What behavior functions does TrackCC provide? - Record daily behavior by student, e.g. 4. What grading functions does TrackCC provide? 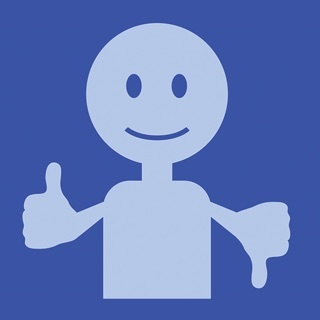 - Record daily grades by student, e.g. 5. 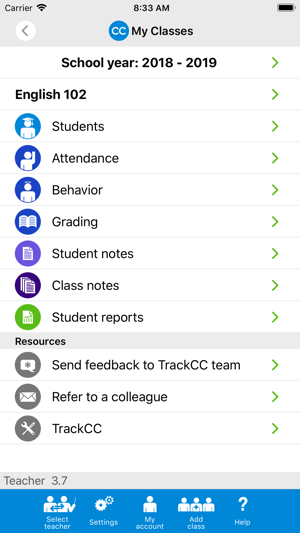 What student communication functions does TrackCC provide? - Record daily student notes e.g. 6. What class communication functions does TrackCC provide? - Record daily class notes e.g. 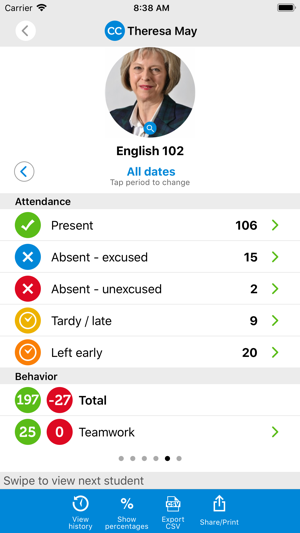 At our school, we've been searching for an easy-to-use tool to record class attendance and student behavior, with push notifications for parents. We've been asking for better grading features and looks like this latest version delivers - looks promising. 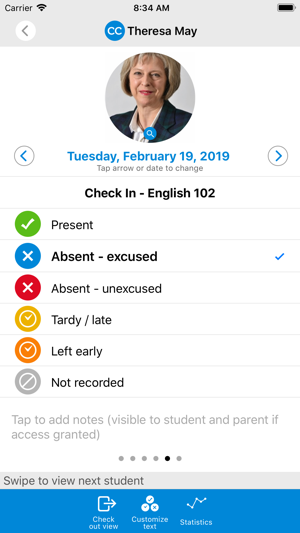 Hi, I think it would be very beneficial if you provided an option for the student to upload a picture of a school excuse for days marked absent or tardy. This way the student and teacher know that the excuse has been received. 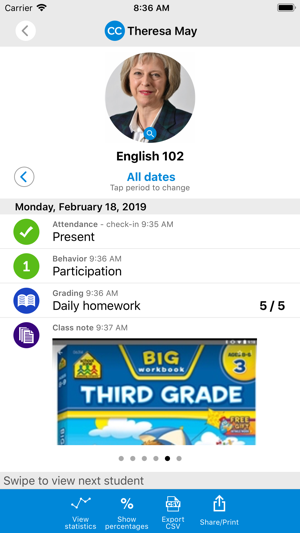 This app makes it so easy for teachers to not only track student progress academically--aligned to Common Core-- but also, it helps teachers keep track of student progress behaviorally. This all in one app even tracks attendance and grades!! I love this app.